In her kind words, below is a letter written by our partner for the Niños de la Amazonia project, Amy Coplan, thanking Rainforest Fund’s executive director for years of Rainforest Fund support. I’m happy to write you and share the news that Niños de la Amazonia has met its goals. As you know, the Niños de la Amazonia project began as a photography project, and this visual anthropology project grew into the Niños de la Amazonia non-profit. The Niños’ photos – taken by the six ‘Niños’- indigenous children who were between the ages of 12 and 16 at the time, recorded their everyday lives in their remote village in the Peruvian Amazon. It’s uniqueness and importance lies in the fact that it is an authentic and true depiction of their lives as documented by themselves. To our knowledge, it is the first time that indigenous people of the Amazon documented their lives in this way and shared their story with the larger world. 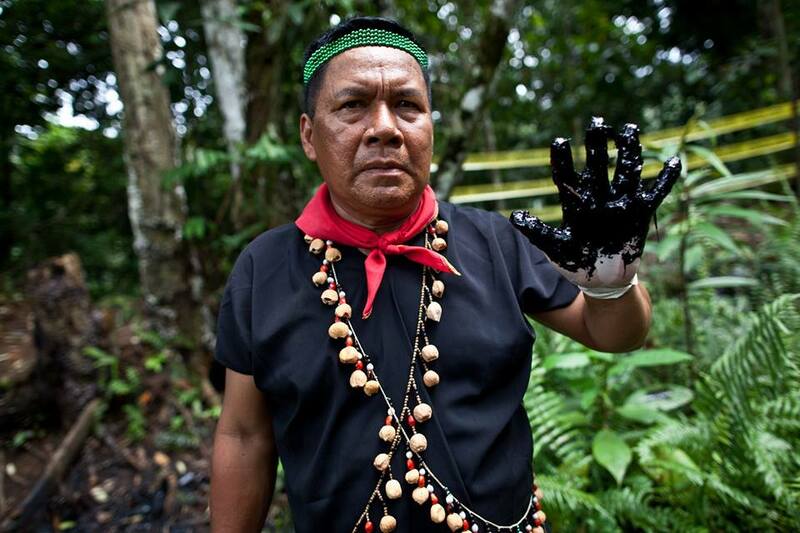 However, that is only one-half of Niños de la Amazonia. From this photography project, the Niños de la Amazonia non-profit was born. 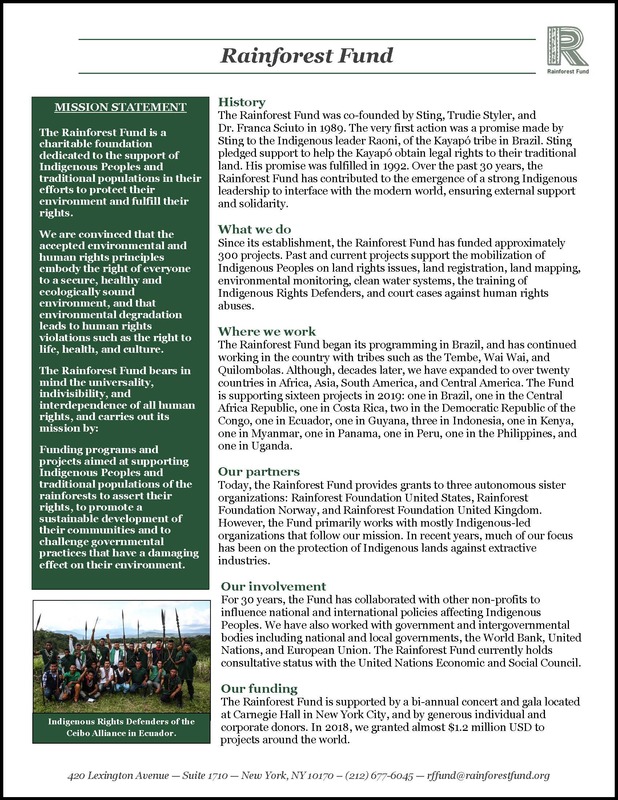 Started shortly before our partnership with the RFUND [Rainforest Fund], its success was only possible as a result of the RFUND’s generous and continued financial support. With that support, the Niños’ received intensive academic support, living expenses that enabled them to concentrate on their studies, and the adult supervision that provided the support and guidance needed to keep them on track. With this, two of the Niños, Jesmarly and Roy, have completed university. Our gratitude for the support of the RFUND is coupled with pride- for their determination and perseverance that led them to their well-deserved success. Although only two out of the six Niños completed university, we consider it a success. Never before had anyone from the village graduated from university. The exposure and education that all the Niños’ received, has provided and will continue to provide deep and long-lasting benefits. They have become self-sufficient; able to provide for their own families and improve the lives of their siblings, extended family and others from the village. They have provided guidance and support to others in their village through financial, emotional, and academic support. That this goal of the non-profit was met is extremely gratifying. Jesmarly and Roy are working in their respective fields – accounting and business administration. As a result, their parents, siblings and extended family are living a more comfortable life with more opportunities to study and find better work. Equally, if not more importantly, is the access to medical help the villagers now have as a result of the increased economic standing of the Niños and their families. It’s satisfying to know that the most basic of needs, health care, is now accessible to the community as a result of the non-profit. These are just a few of the ways in which their education has helped others in their village. From its inception, the non-profit’s vision has been to provide financial support for the education of the six photographers. It was always intended to be finite in its scope. Seven years later, it has come to its successful conclusion. As the founder, I am connected to this in a unique way, but its success would not have been possible without the help and support of so many people, both in the United States and Peru. The 10-year exhibit at the Smithsonian’s National Museum of the American Indian in Washington, D.C. is scheduled to close in 2021, however we continue to explore ways to share their story with a wider audience. One of the initial goals of the project was to collaborate with the Niños in writing and publishing a children’s book based on the Niños’ personal stories and photos. We believe it’s an important story that children will connect with deeply as it was created by children. To the RFUND – Sting, Trudie, Franca and Athos – thank you seems inadequate in expressing the deep gratitude of the Niños and the Niños de la Amazonia non-profit. It has truly been an honor to work directly with you Franca – your intelligence, straight-forwardness and huge heart have been an inspiration to me – and a gift and guiding hand to all of us. Although the Niños de la Amazonia non-profit has come to its successful and natural end, Niños del Mundo, the umbrella of the Niños de la Amazonia non-profit, has plans to continue to provide opportunities for children – this time, focusing on inner city children in Trenton, New Jersey. We agree with the RFUND that education is the responsibility of the state, but as education extends well beyond the classroom, we hope to offer the children exposure to the rich local history, natural resources and cultural resources close to their neighborhoods but far from their experience. We will always be grateful to the RFUND for bringing the Niños story to a larger audience; the fantastic event at the Museum of Natural History that introduced the Niños and their photographs to a larger audience – the financial support enabling the Niños to travel to the United States and attend the opening of the exhibit at the Smithsonian. I feel so incredibly fortunate for our partnership with the RFUND. We will continue to share with you news of the ‘Niños’. In a way, they will always be our ‘children’.